There are a number of pros and cons when it comes to an Airbnb experience. 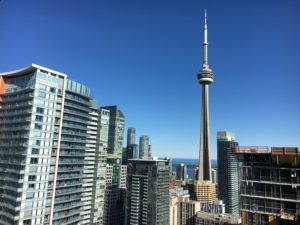 Having just used one in Toronto this month, here’s my personal experience. Would I recommend it? Sure, I like a deal and I’m willing to try something a little riskier than cookie cutter hotels. But be prepared, there are a few trade-offs. The logical benefit to using Airbnb is that the properties offered are significantly cheaper than a hotel in major municipalities. 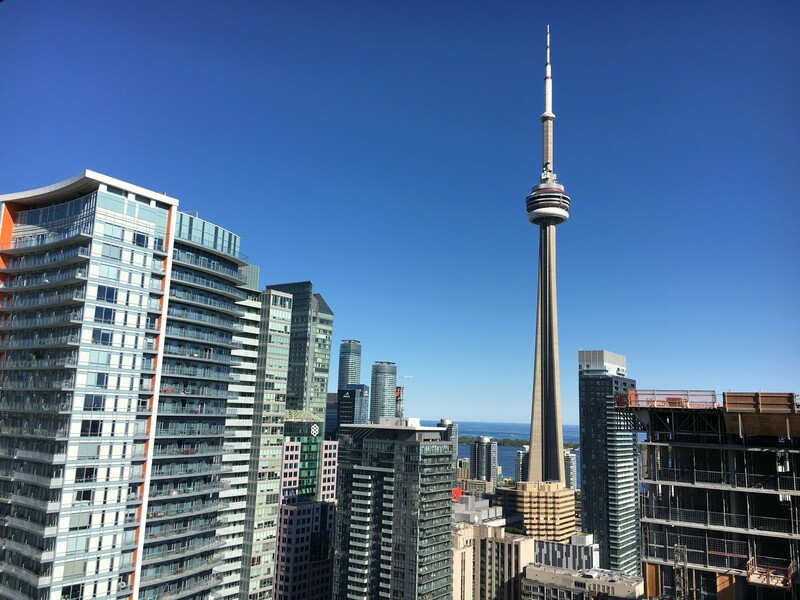 In downtown Toronto, a quick survey of Hotels.com says today’s rate for a downtown room range from $215 to $436 for the night. Plus taxes and resort fees. Alternatively, I paid $130 per night for a one bedroom apartment in between Chinatown and the Entertainment District. There is a cleaning fee, but no taxes so when compared to a regular room these added expenses are comparable. We had lots of room to spread out and even had a balcony with a view of CN Tower. The apartment building was situated next door to an urban grocer on one side and a Starbucks on the other. Transit stopped at our front door. We had no trouble gaining access into the building initially and we were provided keys to the apartment 24/7 during our stay. We were fooling anyone? Hard to say, but we sure felt like big city girls, my mother and I. The apartment was indeed fundamentally as advertised: one bedroom, kitchen, bathroom, etc. The photos online were not recent, however. The nicely outfitted white décor could definitely have used a spruce up. Hotels are guilty of this as well, but I feel like it was even more noticeable in this instance. I made sure to do my research and choose a location with a multitude of good reviews. None of them mentioned the walls, but some did mention another item that the owner had not yet remedied: drapes. In my review of options, I ignored this forewarning as the complaint review was issued at least six months ago and no reviewer since then had mentioned it. There were no window coverings in the living room, where I slept; and not quite adequate drapes in the bedroom either. The only upgrade was that sleep eye masks were left for visitors. Our apartment was nicknamed The View. Unfortunately, that view is now being partly cut off by an ongoing new development across the street. Time for a name change! Despite these minor inconveniences the benefits definitely outweighed the cons on this trip for me and I’d certainly try it again. Airbnb is not a new presence on the hospitality scene. It was founded eight years ago and now has 150 million users worldwide. Within an already competitive hospitality industry they have grown into a force to be reckoned with. And the major hotel flags are taking notice. To keep attracting guests to the hotel experience they are going to have to work towards creating something Airbnb can’t provide. Affordability mixed with comfort are the mainstays in any hospitality market, but can hotels evolve affordably against the grassroots Airbnb?